Day 137: Vegan Rice Krispies! 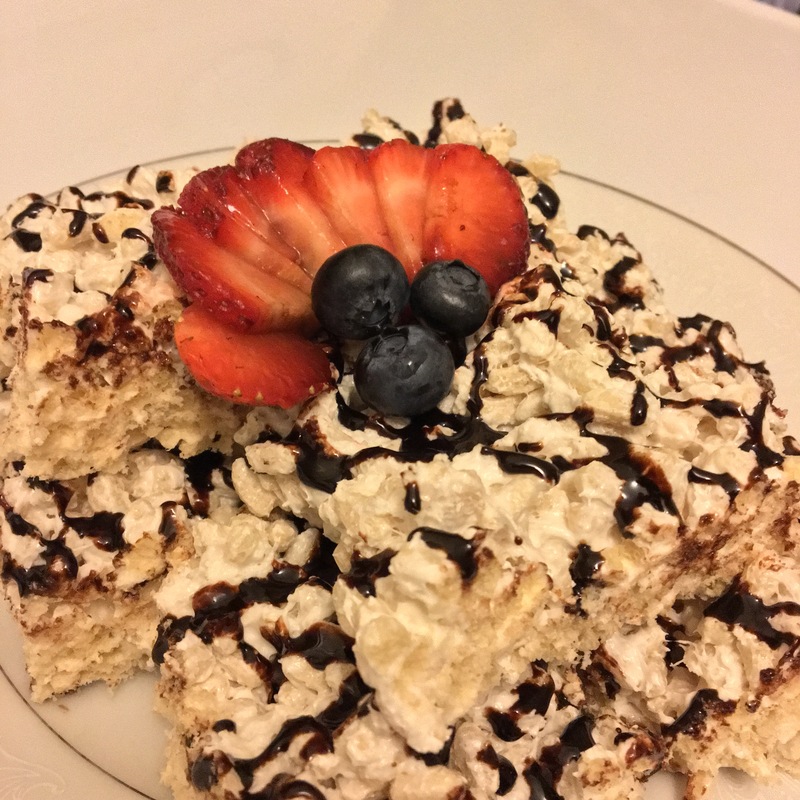 Obviously, Rice Krispies are super easy to make, but (surprisingly) this was my first time! And wow- using quality ingredients made these so much yummier than the prepackaged squares wrapped in blue plastic! We drizzled ours with vegan chocolate sauce for a pop of cocoa flavor alongside the marshmallow-y goodness. Chocolate syrup and fruit to decorate! So this is even easier than I thought. Put your marshmallows in a bowl and microwave for intervals of 10 seconds, stirring in between. As soon as your marshmallows are soft and gooey inside, stir in your puffed rice and don’t stop until everything is evenly coated. Spread into a pan and refrigerate for 45 minutes to an hour. Then, slice into squares and drizzle with vegan chocolate sauce. Yum! A dear friend of mine (83 yo) is vegan and always asks me for ideas and/or recipes.